This family is a large one, and though containing great variation in its flowers, they all conform to one type. This so clearly marks it off from all others that there is never a doubt as to whether a plant belongs here or not. The distribution of the family in the present day is almost confined to South Africa and Australia; a very few forms are also found in South America and as far north as Japan. We have twelve genera, and those most, likely to be noticed are Honeysuckle, Hakea, Guitar Plant, and Waratah. The family owes its name to Protea, a South African genus, which we sometimes find in our gardens. Protea was given to it to mark the many forms assumed. The whole family can only be assumed to have descended from a common stock, and as fossils undoubtedly belonging to it have been discovered as far back as the Cretaceous period, we are forced to the conclusion that it is an ancient family that has migrated in response to changed conditions. There are a great number of species both in Australia and Africa, but there is not a single species, not even a genus, common to both regions. The two places have their own peculiar, forms, and they are also separated geographically, as no members of the family appear between East Asia and Africa. The two groups mark lines of migration in remote times. All members of the family have thick, hard leaves, which in many cases are greatly reduced in surface. They appear to have been adapted to dry, sunny conditions in the life of their earliest ancestors. On Acacias and Myrtles we found the same condition, but not as consistently. Many forms of these have fairly thin leaves, but amongst the Proteas all, without exception, have thick leaves with impervious skins. It may be asked why, if a race can acquire a foliage suited to reduced evaporation when surrounding conditions require it, it does not again assume thinner leaves when in a region of milder climate ? The reason is probably that in the first case it was a matter of life or death. Only a race could maintain itself that had a tendency towards economising its water-supply; while in the latter it can still live at least till the crowding of more luxuriant forms will in a struggle for space smother it out of existence. We see this latter result constantly taking place about us. 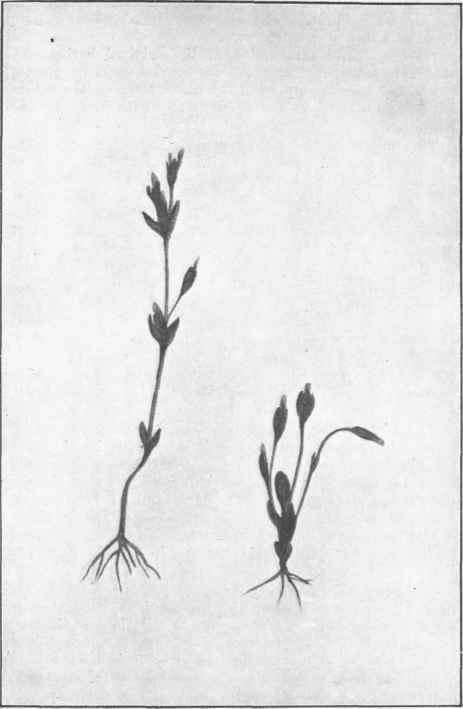 Introduced plants have a common habit of ousting natives. We see in our settled parts the steady suppression of the original herbage by the more vigorous European weeds. In the struggle for existence there is only room for the fittest; all the others have to go under. In nature there is no sympathy for the weakling. The flowers of the family are all of one type, though there is great difference in detail. The first thing we may notice is that there is not both a calyx and corolla. We find only one circle, and in order not to trouble whether this is one or the other we call it a perianth. In older botanical works when this was the case it was called a calyx, though it may look more like a corolla. The perianth in this family is made up of four parts or segments, which are usually united in a tube below and free above. 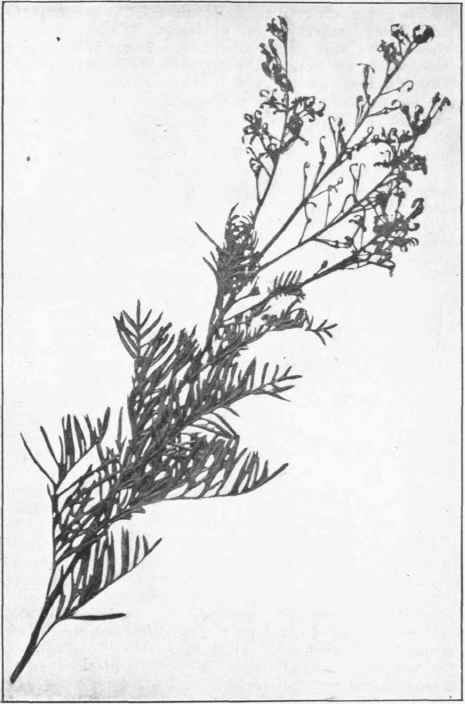 There are four stamens, and their commonest position is one upon each segment; often they are placed in little depressions close to the tip of each. The pistil consists of a single carpel, placed in the centre of the flower; it may contain few or more ovules. The fruit is variable; it may be fleshy outside, a thick wooden body, a leathery capsule, or some other form. Waratah, though not our commonest form, is the easiest to examine. On our mountains it is a shrub, but in more favourable situations towards the west it assumes the state of a small tree. 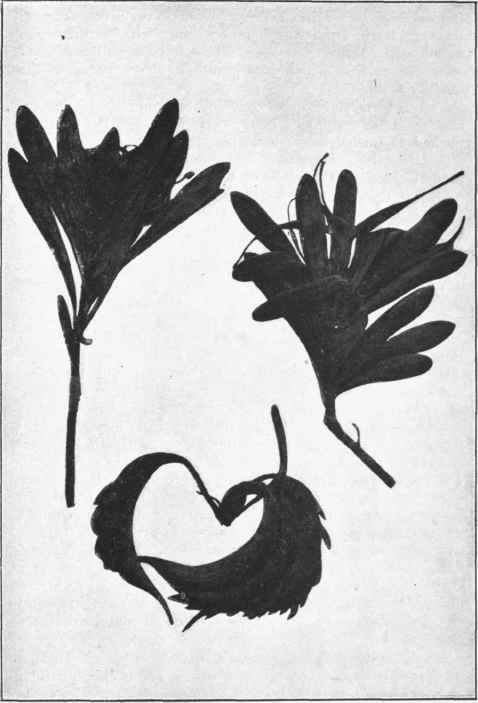 The leaves are simply shaped, much longer than broad, dark-green, and of hard texture. The flowers are in dense terminal heads, bright crimson, rarely white. A plant of rather different structure, with flowers arranged in linear spikes, is often called White Waratah in the West. The perianth of Waratah consists of four rather long, narrow, crimson members, which in the bud adhere to one another along their margin. While still in bud it may be observed that at the end it is rather enlarged and round; also, as it approaches maturity it is bent to one side. The flower opens by the four perianth segments, separating, and sharply coiling back. Now the reason of the terminal thickening is shown. The end of each is like a spoon, with a stamen in it. It is obvious also that the curving was caused by the style, which had grown long while yet in bud, and now stands freely up in the centre of each flower. The ovules are very numerous, and arranged in two rows. They are minute at the time of flowering, but easily observed in the fruit, which is very like a curved leathery bean, from 2 to 3 inches long, which splits open to allow the seeds to escape. These have a well-developed wing on one side, which greatly aids in the dispersal of the seed by wind. The flowers develop a considerable amount of honey, and are much sought by honey-eating birds. Being closely packed to form a large head renders them conspicuous at a considerable distance. This is a common habit with plants, and greatly aids the purpose of attracting visitors. Guitar Plant is widely dispersed. It is also called Fairy Fern, because its leaves have sometimes a remote resemblance to those of a fern. 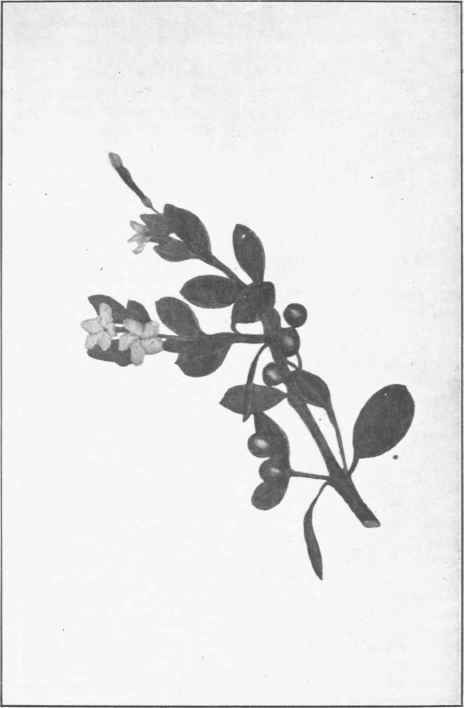 It is always a small shrub, and the leaves are variable in shape, being sometimes quite simple, at others very divided. The flowers are cream-coloured, many, in loose masses, and shaped otherwise just as in Waratah, but the fruit is much smaller, and when open somewhat resembles a guitar.